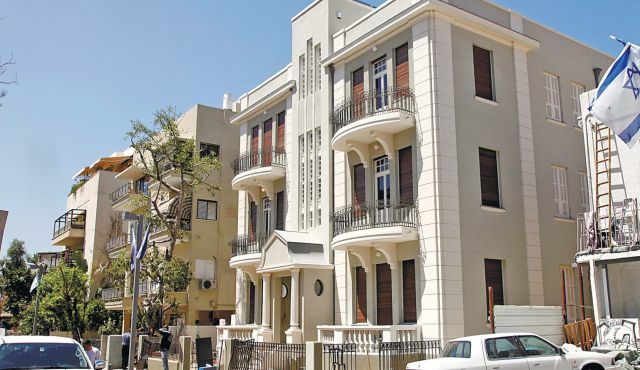 The Residence of the Ambassador of France is located in the Jaffa neighborhood of Ajami. 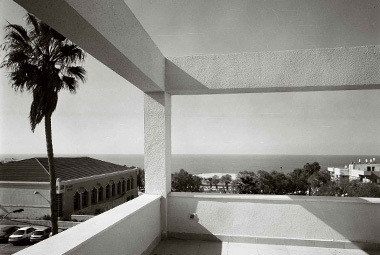 It is a beautiful Bauhaus building in Modern style, overlooking the Mediterranean Sea. 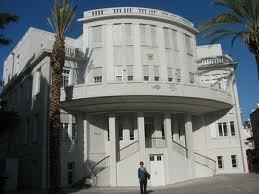 This villa was designed and built in the years 1936-1938 by an architect named Yitzhak Rapoport. In 1949, the house was sold to the French Republic by the architect, who then transferred the amount of money he received to Ahmed Rahim, its owner who was living in Beirut. Muhammed al-Rahim (Abu Hassan), an Arab notable from Jaffa, attended the Rotary Club where he met Jews, Arabs and Britishs. He became friendly with Yitzhak Rapoport, a well known and respected Jewish architect born in Ukraine, who built the French and the Dajani Hospitals in Jaffa. Y. Rapoport specialized in Modern International Style and Ahmed Rahim asked him to build a house for him in the neighborhood of Ajami. The house of Ahmed Rahim would be built according to modernist criteria features, yet it would retain the ideology of a traditional Muslim family home in which public and private spaces were separated, as were rooms for women and men. During the British Mandate in the 1920’s and 30’s, there was tension between Jews and Arab and pogroms were a constant threat. Despite that, the friendship of these two men would remain intact. Times were very difficult for the architect. In order to oversee the building in construction, he had to wear a traditional Arab dress which allowed him to pass the lines separating the two communities and then he was taken to the site by car. The two had a secret, however. Ahmed Rahim was the treasurer of the Arab Organization responsible for perpetrating attacks against Jews and Rapoport was a member of the secret service, the Haganah. When the 1948 war broke out and the Arabs were defeated, Ahmed Rahim was a signatory to the surrender of Jaffa and decided to leave to Lebanon. He entrusted the keys and title to his house only to Rapoport, in whom he had great confidence and considered him a true friend, who would defend its interests. The building was purchased by the French Government in 1949 for 20,000 Pounds Sterling and became the private Residence of the Ambassador. Oded Rapoport, son of Yitzhak, has himself become an architect. He said that every new tenant of the house wanted to carry out some changes and improvement in the villa. Oded Rapoport was asked in the 80’s by a wealthy Palestinian from Gaza to build his villa. The first Intifada made it difficult for the architect who could not get to the construction site. Like his father, means were put in place and an ambulance of the Red Cross discretely drove him to the building site . The Residence offers annual Operation ‘Open house’ ‘to the public. This entry was posted in French Ambassador Residence in Jaffa, international style, Modernisme, Muhammed el-Rahim, Oded Rapoport, Tel-aviv-Jaffa, Uncategorized, Yitzhak Rapoport and tagged British mandate, palestine, politics on 2 February 2015 by Nicole Samuel Israel Guide. Bialik Street is located in the heart of Tel Aviv. 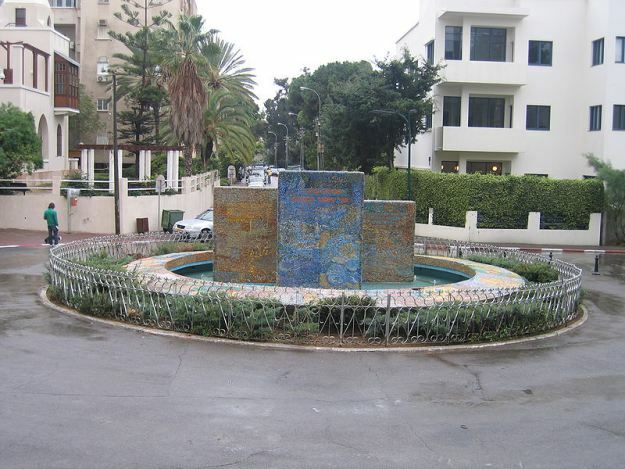 It begins on Allenby Street and ends with Bialik Square, where the first City Hall of Tel Aviv was situated. This is probably one of the most beautiful streets of Tel Aviv. One must take the time to stroll and admire the abundance of beautiful homes and historic monuments, which are a delight to the eyes. Most of the buildings were renovated in 2009 to celebrate the commemoration of the Centenary of the City of Tel Aviv. Some of these houses are of great beauty with all architectural styles coming together, Ecclectic, International, Art Deco and Modernism. Next to the old Town Hall there is the Felicia Blumental Music Center, dedicated to the pianist of the same name. The building, constructed by the notable Shenkar family, with its orange color also incorporates the Music Library of the city. Bialik Street is named after Hayim Nahman Bialik, one of the greatest Hebrew language poets, who today is considered to be the National Poet of Israel. Born in a religious family he studied in a yeshiva (Talmudic school). 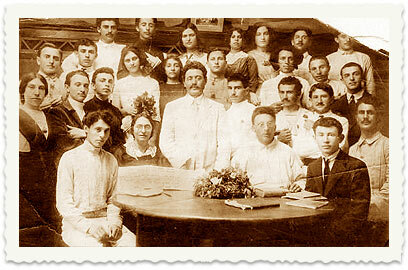 After that he moved to Odessa, a mythical city of cultural crossroads , where he met Ahad Ha’am, the spiritual Zionist, who became his friend. He traveled to Palestine for the first time in 1909. In 1920 his friend Maxim Gorki helped him fleeing the Bolshevik dictatorship and Hayim Bialik left his native Russia. As a very wealthy man with a great reputation, he was much in demand by the local figures and was promised that a street be dedicated to his name, where he would build his house in 1925. The Bialik House, the Museum of the painter Reuben Rubin, the Bauhaus Museum (house of Shlomo Yafé), and, at the Bialik Square, the new Museum of the History of Tel Aviv – Jaffa, where once stood the Town Hall of Tel Aviv. 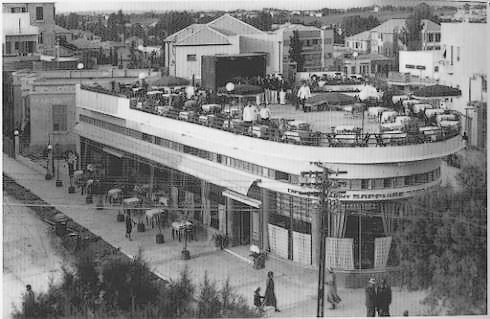 Six mayors of Tel Aviv held their functions there : Meir Dizengoff, David Bloch, Moshe Shlush (a few days), Yisrael Rokach, Haim Levanon and Mordechai Namir. 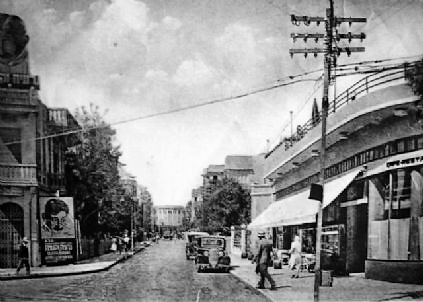 At the end of Bialik Street there is a cafe with an unusual history. It was called the Sapphire Café, Café Nightingale, Gan Rave and, for fifteen years Café Bialik. Since its construction in 1930, it became an attraction for students and intellectuals living in the neighborhood. Hundreds of people would come to admire the fascinating new interior design style of the building. On Thursday evenings, the terrace was used as a dance floor. During the second Intifada a Palestinian person committed a bomb attack on Cafe Bialik. One man died and several were wounded. It was quickly reopened, but today it covers only a part of its original surface. 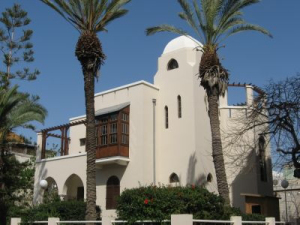 In October 2007, the owner of the building, Danielle Weiss, with the permission of the Mayor of Tel Aviv, wanted to destroy this historical building in order to build a high tower. How ironic… at that specific time the city was making preparations to celebrate the 100th birthday of the White City…. A petition was then signed by the residents’ associations and friends of Tel Aviv . 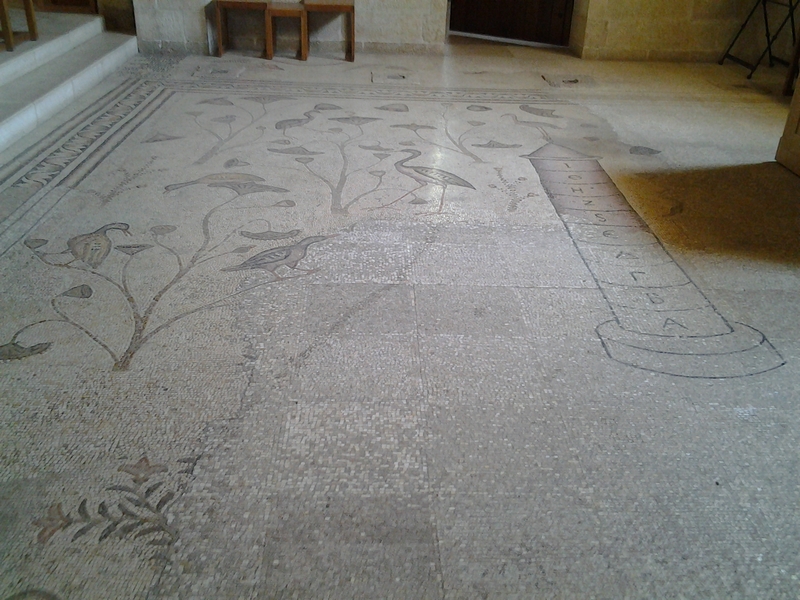 They succeeded in restraining the decision to tear the cafe down..
Additionally, another scandal was going to be unveiled: the beautiful mosaic of Nahum Gutman, telling the history of Tel Aviv – Jaffa through time was exposed for many years in the square of the old Town Hall and had disappeared mysteriously! 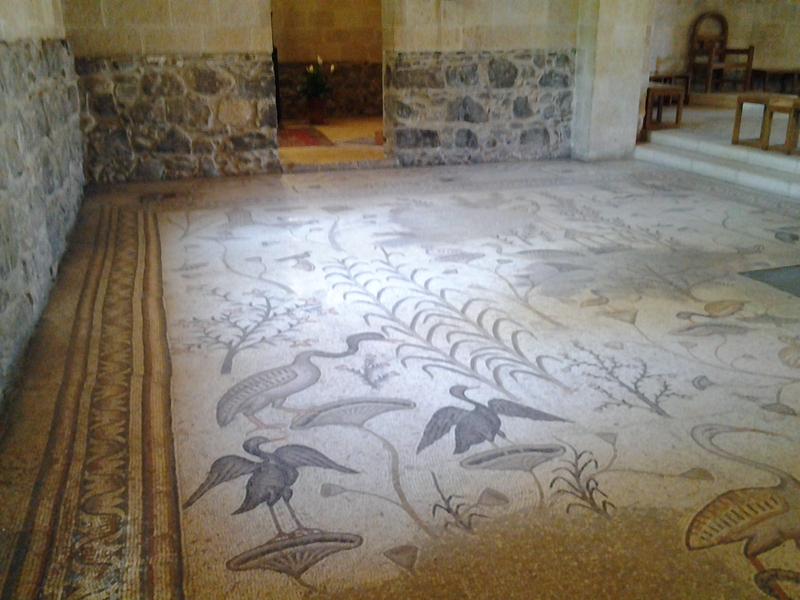 This mosaic was removed during the renovations of Bialik Square and nobody knew where it was. However, it was found in a very dark and rubble place, ready to be forgotten… This scandal reveals once again that the past has little importance for some notables representing this city. whose dream is… that Tel Aviv will become a Second New York! This entry was posted in Bauhaus museum, Bialik cafe, Bialik street, David Block, Haim Nahman Bialik, Meïr Dizengoff, Mordechaï Namir., Moshe Slush, Nahum Gutman, poet, Reubin Rubin, Tel-aviv history museum, Tel-aviv town hall, Uncategorized, Yisrael Rokach and tagged immigration, palestine, sionism on 31 January 2015 by Nicole Samuel Israel Guide. In 1914, Turkey entered the war as an ally of Germany. The Jews of Palestine were then forcibly conscripted alongside the Turkish soldiers. Aharon Aaronsohn, his sister Sarah, Avshalom Feinberg, Yosef Lishansky and Naaman Belkind. Avshalom Feinberg chose side when his friend, Aaron Aaronson, who proposed to establish an intelligence network in favor of the British. Aaronson travelled to Germany for a study trip. He took this opportunity to go to Alexandria and tried to persuade the British to make an offensive in Palestine, because the state of the Jewish population was becoming more precarious every day. Asvhalom Feinberg and Moshe Lichansky led by a bedouin guide and disguised as well as Bedouins were trying to cross the Sinai desert as they wanted to meet their friends is Egypt. But in the area of El Arish, they were attacked by Bedouin raiders. Feinberg was fatally injured. 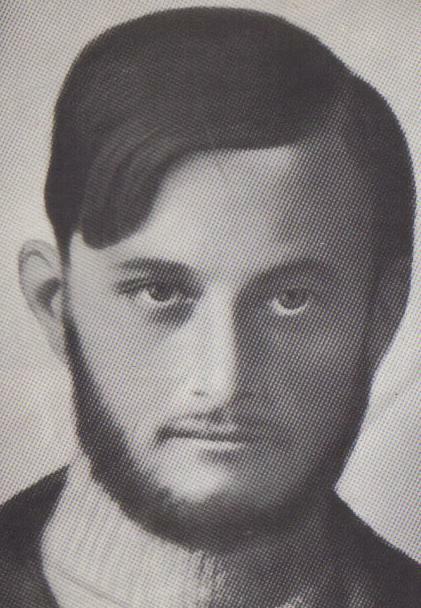 Lichansky was also injured but he was taken by a British patrol to a safe place in , the free area and then went in search for Feinberg, but in vain. Indeed some dates stones left in his garment’s pocket grew and became a date palm tree. On 29th November 1967, his body was returned to Jerusalem and buried at Mount Herzl military cemetery. The Nili group will also know a dramatic end. 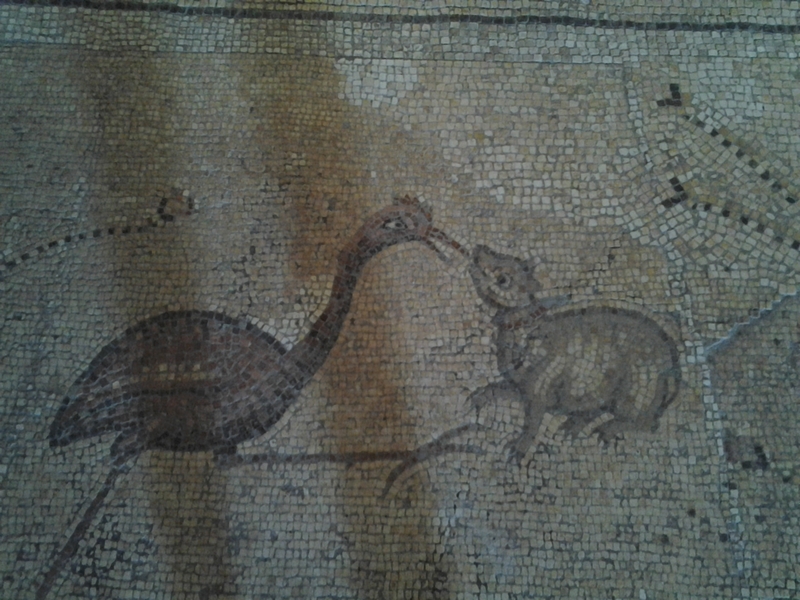 A pigeon carrying a coded message fell to the hands of the Turks. The group was discovered and they will all die tragically, a deep repression will follow for all the Jews of Palestine. This entry was posted in Avshalom Feinberg, British Mandate, Jewish palm tree, Mandat Britannique, Naaman Belkind, nili, ottoman empire, Sarah Aaronson, spy, Uncategorized, Yossef Lishansky, Zikhon Yaakov and tagged germany, ottoman period on 29 January 2015 by Nicole Samuel Israel Guide. This text was sent to me a while ago and I treasured it. I am pleased today to put it on my blog so that everyone can enjoy this amazing story. A few years ago, King Juan Carlos of Spain invited the Chief Rabbi of Israel Yonah Metzger to commemorate the 800th anniversary of the death of Maimonides, Rabbi Moses Ben Maimon (Rambam). A Doctor, Philosopher, Talmudist and above all a man with great abilities of decision-making, the Rambam was born in Cordoba, Spain. During the ceremony, Rabbi Metzger gave the King a beautiful long, curved shofar in silver with the royal crown engraved on the silver trim. Increasingly perplexed the King asked if this item was used in bullfights but RabbI Metzger politely explained that Judaism forbade making animals suffer unnecessarily. ” So what is the use of the animal horn ?” continued the king. 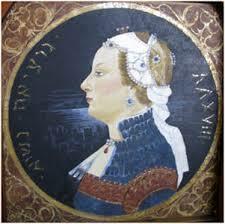 The Rabbi then reminded the king of a painful chapter in the history of the Spanish Jews. 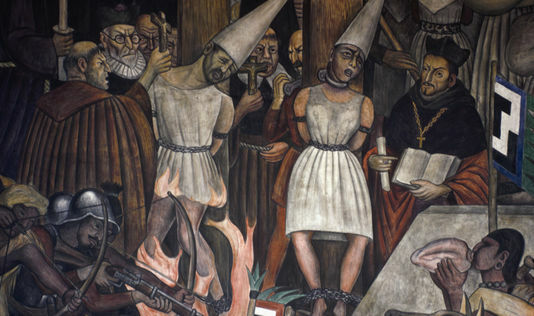 After more than five hundred years, the Golden Age of Spanish Jewry ended abruptly when your ancestor, King Ferdinand and his wife Isabella, expelled my ancestors following the incentive Inquisitor, Torquemada. The Jews who had so contributed to the development of their countries had to flee, abandoning their properties and moved to more hospitable countries. However, some Jews remained in Spain keeping secretly their laws and customs. They behaved like devout Catholics but respected the laws of the Torah, lighting the Shabbat candles in cupboards, so that no one would notice. On Holidays, the Marranos secretly gathered in basements to pray. They prayed fervently with a very low voice so as not to be discovered by the Inquisition, which would have burnt these heretics at stake. For Rosh Hashanah (Jewish New Year) they were faced with a dilemma, prayer could be whispered but how to use the shofar without attracting the attention of neighbors ? He proposed to the king to hold a free concert and to present various wind instruments from all countries and all periods. The King who loved music was delighted. The Conductor offered a certain date, which in fact of course was the date of Rosh Hashanah. The King, the Queen, ministers and courtiers sat in the front row, the remaining listeners took to the rear, amongst whom were many Marranos. The Conductor sounded the shofar as required by the Halacha and the spectators were silent. At the end of the service, they applauded ……. ”Today Majesty”, continued Rabbi Metzger,”we meet five hundred years later in much more friendly circumstances. As Chief Rabbi of Israel I am happy to return to Spain. Thank you on behalf of our people, now the Jews can live freely in your country, they enjoy complete freedom of worship and on Rosh Hashanah they can blow the shofar in the restored synagogues. I am honored to give you this shofar publicly without hiding it because you are concerned about a sovereign democracy”. 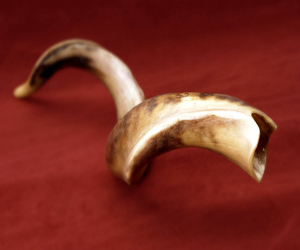 ”Chief Rabbi, I received many gifts and trophies from many personalities from around the globe, but this gift carries historical significance and I am extremely grateful for this and for that Shofar story” ! Rabbi Metzger then told the King that he wanted to bless him, as recommended by the Sages. When he finished his blessing Rabbi Metzger opened his eyes and saw that the king was much moved. He wept without trying to hide ….. The paternal grandfather of Juana Enríquez is Alonso Enríquez, Lord Medina de Rioseco (1354-1429), whose father is Fadrique of Castile and mother, Paloma bat Gedaliah (born Jewish), granddaughter of Shlomo ben David Ha-Zaken traditionally from a branch of the descendants of King David by exilarchs of Babylon. This entry was posted in Choffar, Inquisition, Isabelle et Ferdinand, Juan Carlos Roi d'Espagne, Kol nidre, Rabbin Metzger, Rosh Hashana, Uncategorized and tagged faith, King, King Ferdinand, King Juan Carlos, Rabbi Metzger, spain, tradition on 22 January 2015 by Nicole Samuel Israel Guide.